So you’ve got a load of shiny new UX videos in your WhatUsersDo account. What now? Watching videos is all well and good, but in order to get good insights from them you should watch them with, let’s say, a particular mindset. You’ll also want to tag (bookmark) those precious moments of insight within the platform so you can go back to them later or share them with your colleagues and resident HiPPOs. This guide contains everything you need to know when analysing your UX testing videos — it’ll help you tag, prioritise and categorise insights so you can use your videos as a force for eternal user-centric awesomeness. This video should give you a good introduction to tagging with WhatUsersDo, but read on for more tips! Empathy, like love, is a powerful thing. So before you start analysing away, have a go at completing all the tasks yourself, making sure to follow all instructions accurately. That way, you’ll be aware of the process users are going through, and totally relate, man. 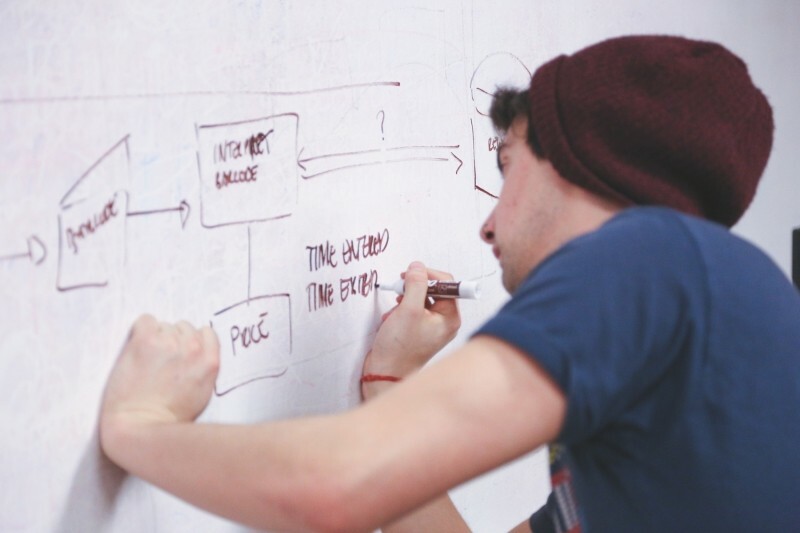 What question are you actually trying to answer with UX testing? Keeping this question in mind will help focus your analysis on finding related insights (and less time shouting at the users for failing to see the big red “Buy” button you spent ages working on). Although unlikely, some users don’t get it right the first time round. You’ll want to have all your videos ready when you start tagging – if any videos are of unsatisfactory quality, you can reject them and request new ones totally free of charge. As well as saving you time when it comes to watching your videos, this also helps us maintain the quality of our panel, so you’ll also be doing everyone else a favour by flagging these things up. 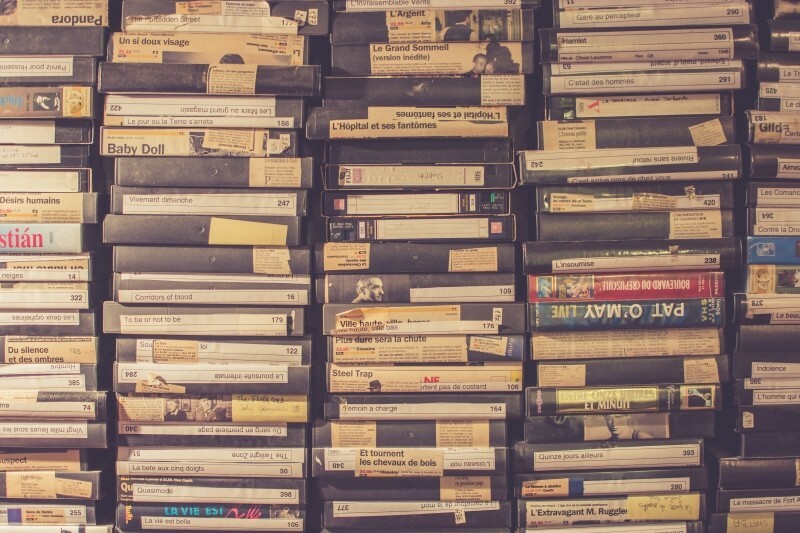 Learn more: How can I replace poor quality videos? 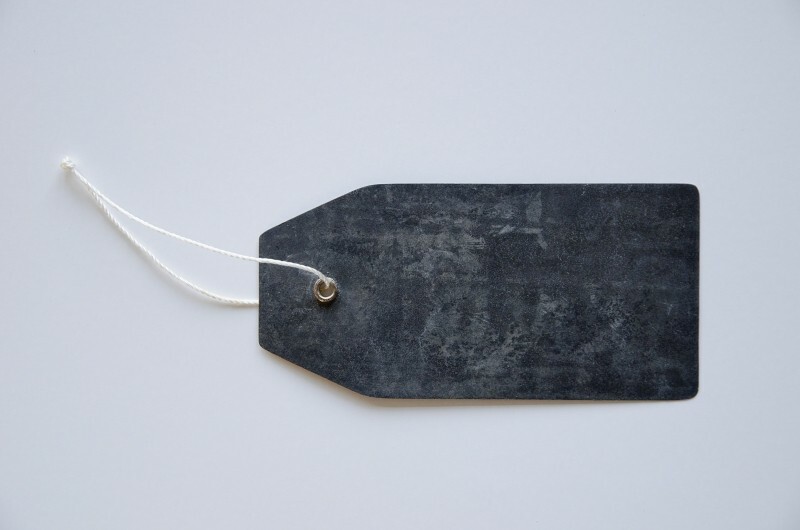 Tags are like bookmarks that allow you to isolate short clips of moments when users express insightful thoughts or behaviours. 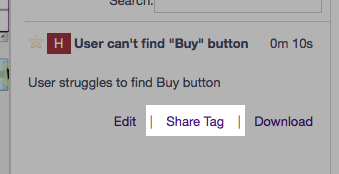 Once tags are inserted, you’ll be able to easily find and share short clips focussing on particular issues. Give your tags meaningful, descriptive titles so if the same issue comes up across several videos, you can easily see trends and collect related tags in individual reports. 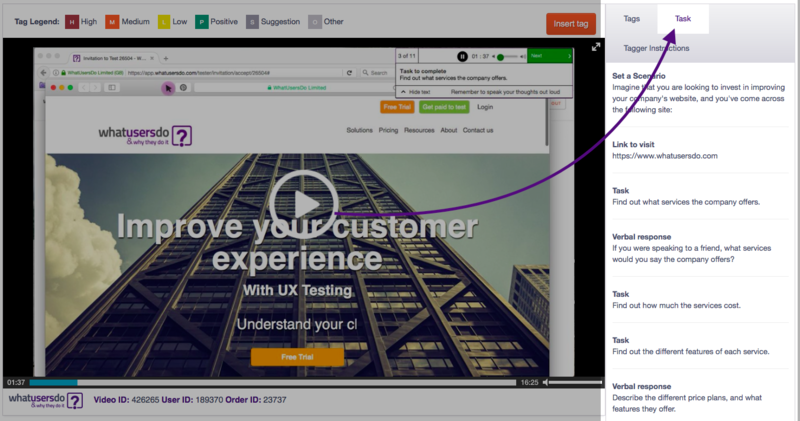 For example, all the short clips in our case studies are tags from full-length UX testing videos. Give context to the event described in the tag – for example, if the user struggles with navigation, extend the timeframe of your tag to include the moment where the user says what they’re actually looking for. This will make your tags more easy to understand when you share them. What users say and what they do don’t always match – you’ll often see users praising the aesthetics of an interface while struggling to actually use it. Be careful! It’s a trap! Issues are never the user’s fault – even when they think it is. We all know there's not enough time in this world to get everything you want done—that's why you can increase the playback speed of your videos to 1.5x or 2.0x normal speed! Use the ⇧ + → shortcut (shift button and right arrow key pressed at the same time) to speed up playback, and whizz through your analysis quicker! Learn more: How can I adjust video playback speed? Great users will give you lots of insights (through their behaviour), even if they don’t speak much. Poor users will say a lot without helping you understand what they want. 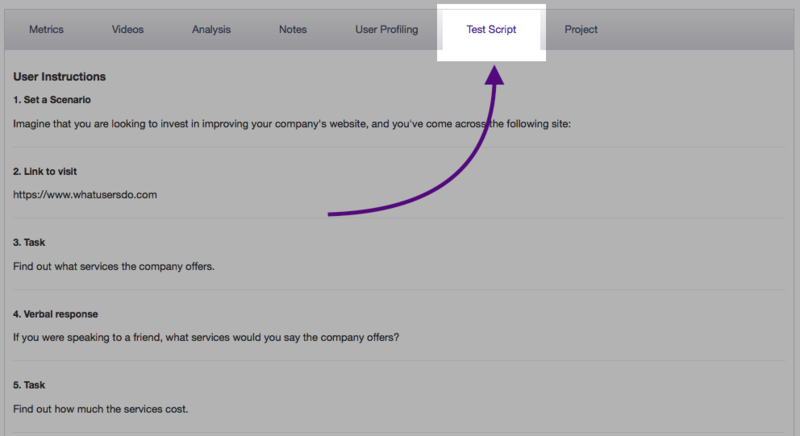 Write a short summary of the user’s journey in the user notes – tests will be easier to find in the future. 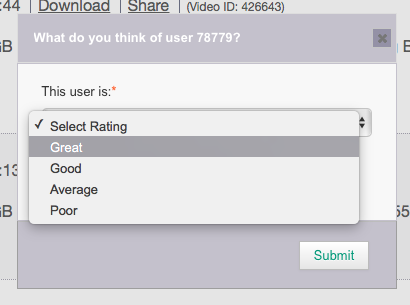 You can also pass this feedback onto us using the Rate User feature on your video summary page. What are the recurrent issues? What are the most common conversion killers or positive comments? Aggregating your insight into common issues will help you prioritise areas to fix or improve on your site, giving you tangible follow-up actions resulting from each test you launch. This lets you watch the tags you’ve created or share them with colleagues. Download clips in MP4 format to embed them in presentations or share them online—it's a great way to pass on insights to other teams (such as developers) or senior management. Hint: You can share an entire video by clicking on the Share button on your video summary page. This will generate a link that can be accessed by anyone, even if they don't have an account! You can also share individual clips by clicking on the Share Tag button on any tags you create. Want to review your analysis outside of the WhatUsersDo platform? You can download your tags as either a .csv or .pdf file for external use. Simply select which format you'd like your analysis in from your order summary page.